More About Me - Oh, The Things We'll Make! So, you're trying to figure out how a Michigan dentist started a blog in Spain? My mom is a Spanish professor, and my dad is from Spain. They came together to make a half Spanish, half American me. I mostly grew up in Michigan with a few trips to Spain over the years. 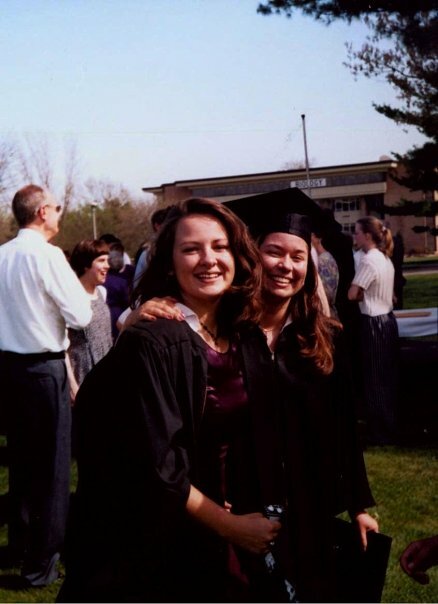 I graduated in 1996 from Calvin College (Grand Rapids, MI). I had followed a pre-med/dental program and ended up with a double major in Spanish and Psychology. My plan was to go to medical school, but my aunt, a dentist at the time, convinced me to look into dentistry. Having changed my mind, I took a year off to take the DAT (an exam for entering into dental schools). I took advantage of the year off to go back to Spain, to the city where I had studied for a semester in college. The year off turned into 3, having met my soon to be husband. 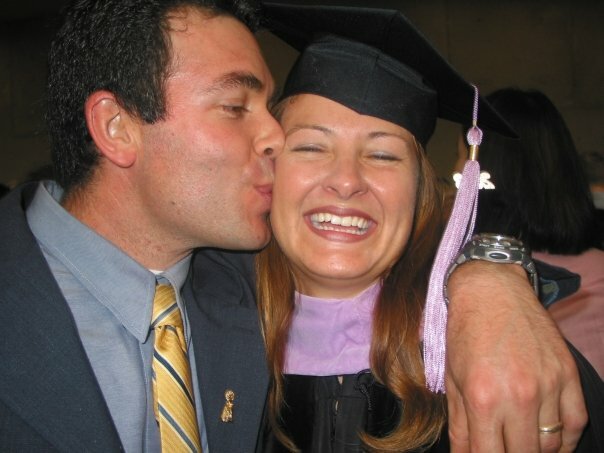 We got married in 1999, and went back to the US together so that I could finish up dental school. In 2003 I graduated from the University of Michigan with a D.D.S. degree. Obviously the plan was to practice dentistry, but someone made an offer on my aunt's practice during my final year of dental school. We weren't ready to commit to buying it ourselves, tying us permanently to the area, so instead we decided to head back to Spain. I kept contact with the Calvin College Semester in Spain program, the same program in which I, myself, had participated in 1994. At first I started working to help assist the director of the program, but later also did some teaching. That's when it dawned on me that I actually enjoy teaching people things! I taught the Ethnographic Study course for several years, and in 2008 I also taught Spanish grammar to the basic level students. I loved working with the Semester in Spain program until the program moved to Oviedo after the 2011 final semester here. Right around that time, though, (in 2010) I got pregnant and gave birth to my son. (Not knowing where life would bring us, we had postponed having children until then.) Getting pregnant gave me a whole new focus, of course. 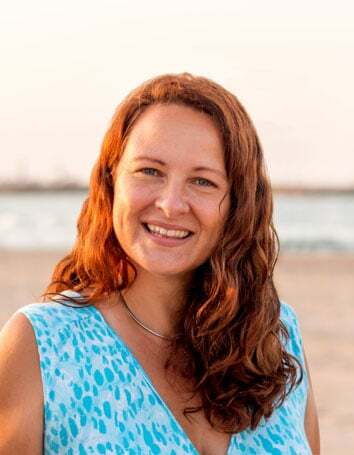 With my family living so far away from me, I began blogging as a way to keep my family informed about how the pregnancy was going, and later about how things were evolving at home. It was a private blog, but when I started posting pictures of my homemade projects, people started finding it. That's when it hit me- I like making things, and also love showing people how to do things. Crazier yet? Some people are actually interested in learning how to make what I'm making! With that new epiphany, I decided to start a (this) new blog with a whole new purpose, to show you how to make the things I'm making too! The things I'm making has evolved over the years because I have a lot of ideas and a lot of interests. My goal is to keep pushing to make new projects that will interest you, though, so don't be a stranger and let me know what you want to see! My name is Tripti.I am from India.I am a dentist too.I too have an inclination for natural or organic products but didn’t find enough time to DIY that.But lately I have realized that the natural ingredients that I need to be in my skin products are either lacking or are combined with other ingredients in the organic products from the market.So I need to customize my products with my desired ingredients. Being in a humid country and also thanks to the overly secreting sebum glands in my skin I tend to avoid all sorts of moisturizers or lotions.I also tried to make some DIYs but it was likely I didn’t get the idea properly from the various sites I followed,so it was a total failure.I was in the verge of dropping this homemade DIY concept and return to my dentistry… When I found your site…And thankyou from the depth of my heart I totally now have a fair idea of How To Make My SkinCare Products !!!!! I live in a hostel so making my DIYs is a bit concern there.So I m waiting for my holidays so I can go home and start at once.The sooner the better…I’ll post my updates in your blog as soon as I finish my first ever homemade soap.Also looking forward to make other skincare products.Would like to present my parents and my hubby of course…..
PS-Happy to find your site.Can you please elaborate on emulsifiers and preservatives.Please do post some homemade Leave-on Facial Gels coz we being in a humid climate gels are a saviour for us.Would love to try your recipes.One more thing- Does making all this DIYs need any other diploma course on naturopathy,coz m a dentist and probably all this knowledge about herbs,oils or chemicals may need deep knowledge on this. You probably are an expert dear ….And also senior to me. Waiting for your reply ..thanks again. That said, if you were to want to sell products, you need to learn the regulations of the country you live in. Each country has different regulations about what you need to do to be able to sell your products. In most cases, you’ll need to do some sort of stability testing, and in some countries, you would need to do microbial testing too. Then there are other regulations that are dependent upon each country. I start talking about emulsifiers and preservatives in my post about how to make a basic lotion, but, yes, I should do posts that specifically concentrate on them. Thanks for the suggestions about making leave-on facial gels. I can definitely keep that in mind for something to make and share here on the blog! Wow! I read your simple homemade lotion and am blown away by the information and research. I thought for sure you had gone to school to learn how to make soaps, lotions etc. What you found simple, I found to be complex and almost overwhelming; however, I’m encouraged and learning. Thank you for your research and sharing! It’s always my goal to try to put together as much information as I can, experiment until I’m happy with a recipe, and then simplify as much as I can so that anybody can try to make their own products and foods. I’m always working to add new projects, and hope you’ll follow along! Oh, I just read your answer to the comment below mine, where you say you live in Denia. What a coincidence, since that is the place and area where I’m considering to move to, three years from now!!! Hi Tracy, after your response to one of my blog posts, I decided to check out yours as well. What an interesting story you have and what a lovely blog. How cool that you became a blogger and that you found your niche! Do you live in Valencia? What an interesting read about you! I was looking for ways to make laundry soap using what is available here in Spain (I am German but lived in US for some years before returning to Europe). I am in the Castillón province and wondering where you are! I will be visiting your site more. Thank you for your work! I’m on the coast, in the province of Alicante- in the city of Denia. Making liquid soaps is one of my favorite hobbies. Thank you for your time and care you have put into your blog. I happened upon your ginger bug post. I’ve been enjoying apple cider vinegar and had a hunch that ginger might be able to be used as apples are and made into a similar health drink. Your post was exactly what I invisibles and it is delicious too! Thanks for much for your kind comment! Your dream sounds wonderful- I’m about to embark on studying more about formulating cosmetics. While I probably will never formulate them for sale, I love being able to formulate recipes for other people to use.